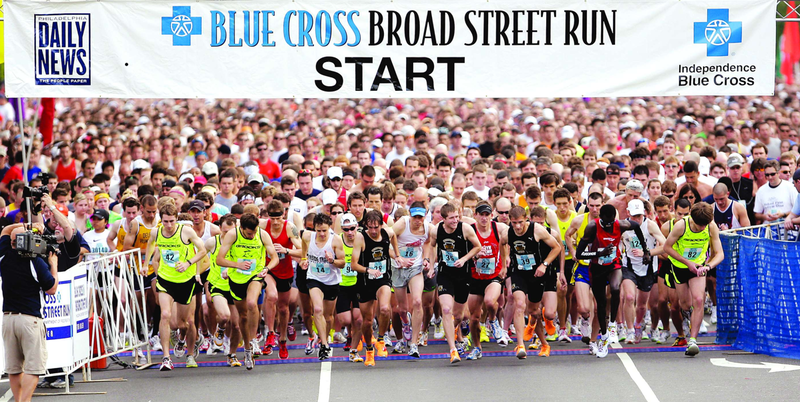 One Month Until the Broad Street Run! One month from today I will have run the Broad Street Run. I can hardly believe how quick the months have gone, even with the cruelty of an especially cold winter. My progress to date has continued on pace with my expectations, as I have increased my time and stamina while decreasing my weight. When I signed up for the race, I made the conscious decision to focus first on my weight loss and second on my running time. Given that in January I was unable to run for more than a few minutes at most, I felt that the number one priority had to be a reduction in weight. No matter how much of a running base I established, it would only produce results as far as my frame and Body Mass Index would allow. My hunch, which was a bit of a gamble, has seemed to pay off. This past Sunday I ran 10.2 miles total (5.1 at a time and around two hours of rest in between). My pace was 11:30, which is not ideal but certainly light years better in both time and pace than anything I had previously been able to accomplish. I do recognize that over this next month I will need to up my calorie intake a bit as it gets closer to the run, just so I can ensure I get all necessary nutrients. While I will not completely switch away from weight loss, I do intend to target my running form and comfort with longer times. I will not run another ten miles more than once before the big day, and I will make sure to do so before the week of the race. I also will adjust to running outside, as to date my runs have been on a treadmill. There are advantages and disadvantages to both, but now I need to take advantage of the slightly warmer weather to get comfortable with less controlled environments. I have only $125 to go to the $500 minimum required with one month left of fundraising. As I had mentioned previously, I will be receiving a matching amount from my company following the run, but it does not go to the minimum required before the race. So the total amount will be a minimum of $1,000 to the charity Back on My Feet. If you can and would like to, please click on this link to donate!! !